With the launch of iOS12 and macOS Mojave, it’s time to learn about all the new features your employees can benefit from AND all the new features you can use to manage, secure andcontrol these devices! 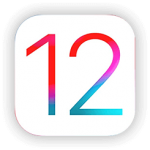 We will discuss the new features in iOS12 and how to manage these in your UEM solution. Since some new business features have been introduced in iOS 11.3, we will also provide some best practices on how they can be managed. we will give you some insights on the new features in the latest Mojave release and how these devices can be managed by your UEM. We will also explain in detail the new DEP/VPP management program, called Apple Business Manager. This half day session bringing you the iOS experts and EMM experts on stage, direct interactions and knowledge sharing: a must-attend for IT staff that is confronted with a large fleet of iOS or macOS devices and wants to offer the best quality services to its employees! This session is free for mobco customers.